The stainless steel spigot can be used with all Berkey systems except the Berkey Light and the Go Berkey. The optional spigot can be used to substitute the black plastic spigot that comes standard with stainless steel Berkey systems, allowing for a 100% stainless steel housing. 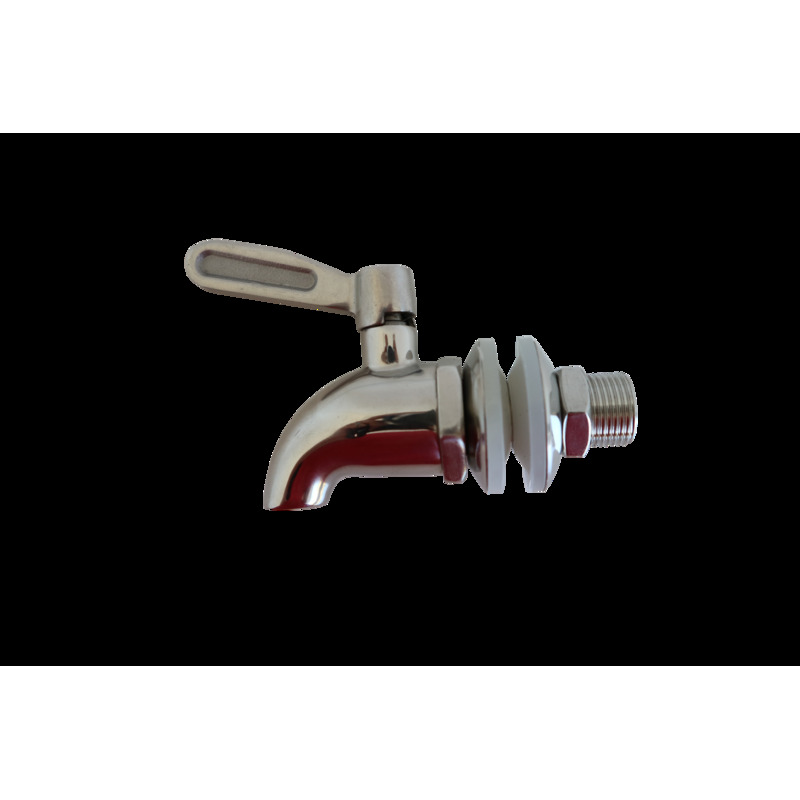 This optional spigot is made of the highest food grade 304 stainless and features a fast flow rate and a quarter turn ball-valve design, for secure and easy access. Fits 5/8” to 3/4” (16-19mm) opening. 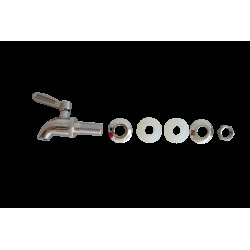 Excellent replacement spigot for other beverage dispensers as well which generally come standard with plastic spigots. 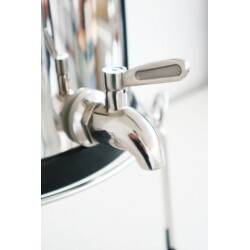 NOTE: The stainless steel spigot cannot be combined with the level indicator column on the Berkey Sight Glass Spigot. If you want to add an optional spigot, you must choose one or the other.